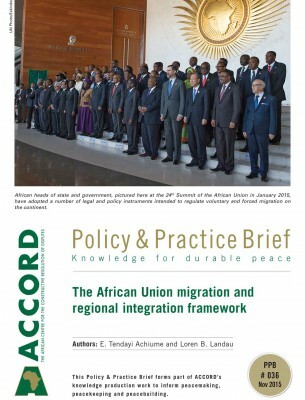 The years 2015 and 2016 were crucial for the Economic Community of West African States (ECOWAS) from the perspective of its efforts to ensure sustainable peace and stability in the region, through supporting the conduct of peaceful elections and the orderly transfer of power.1 A total of 10 of its 15 member states held elections in 2015 and 2016.2 ECOWAS has a rich history of managing political transitions and elections in the past 18 years, following the adoption of the 1999 Protocol Relating to the Mechanism for Conflict Prevention, Management, Resolution, Peace-keeping and Security (referred to as “the mechanism”), as well as the 2001 Supplementary Protocol on Democracy and Good Governance. 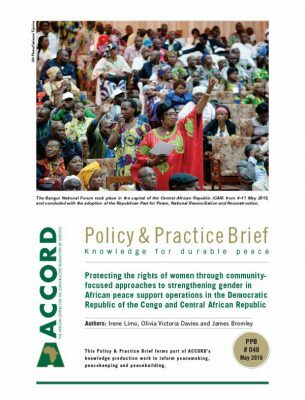 This Policy and Practice Brief (PPB) examines ECOWAS’ interventions around the electoral processes of its member states, with particular focus on its management of the 2016 post-election impasse in The Gambia. 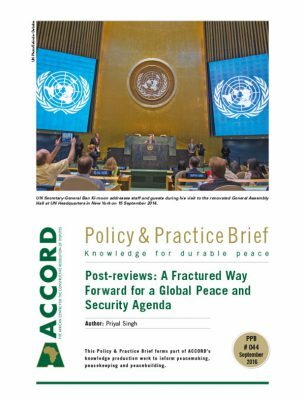 This highlights how effective a mediation process can be when mandates are grounded within institutions’ normative and legal instruments, and when international actors work in partnership with regional organisations with respect to the principles of subsidiarity, complementarity and comparative advantages. 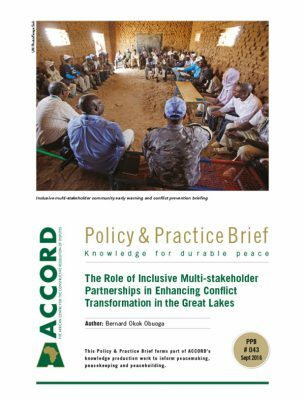 The lessons from this intervention might therefore be relevant to other regional economic communities (RECs), the African Union (AU) and the United Nations (UN) in avoiding the pitfalls of working in silos or engaging in a multiplicity of interventions, which are often at cross-purposes. 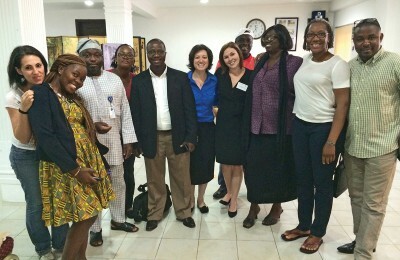 Prior to the 1 December 2016 presidential election and in fulfilment of Article 13 of the ECOWAS Protocol on Democracy and Good Governance, ECOWAS dispatched a four-member pre-election fact-finding mission to The Gambia on 14–15 July 2016.3 The key objectives of the mission were to ascertain the country’s level of preparedness for the scheduled presidential elections; gauge the political and security situation in the country; and hold consultations with key political stakeholders, with a view to providing the required support that would assist the country in achieving peaceful, free, fair and credible elections. Former president Jammeh came to power in a bloodless coup in 1994 and, in 1997, transformed himself to a civilian president, subsequently winning all further presidential elections (2001, 2006 and 2011), thus dominating the political landscape of the country. For the 22 years of his presidency, his government was variously accused of human rights violations and the emasculation of political opponents. 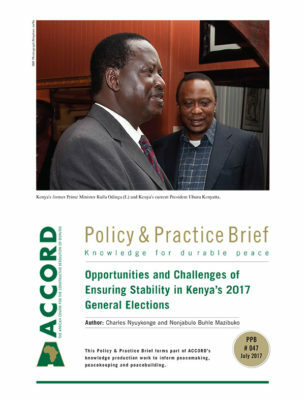 The period leading to the 1 December 2016 presidential election was characterised by deep political and security tensions, resulting from the face-off between government and opposition parties. Specifically, from 14 to 16 April 2016, the United Democratic Party (UDP), The Gambia’s main opposition political party, had led protests in the country and demanded political reforms. In the wake of these protests, security agencies made several arrests. It was alleged that at least 50 opposition members of the UDP, including Ousainou Darboe, the party leader, and other senior executive members of the party had been arrested and detained. It was further alleged that three people, including the party youth leader, Solo Sandeng, were killed while in government custody. Subsequently, on 19 April 2016, 15 people were released, while the rest of the detainees remained in custody. On 20 April 2016, the Gambian High Court charged 37 people, 18 of whom were accused on five counts: unlawful assembly, rioting, incitement of violence, interfering with vehicles, and holding a procession without a permit. 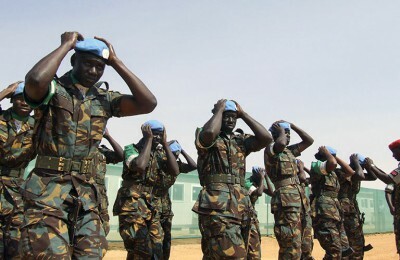 Responding to the crackdown of the opposition, former Secretary-General of the UN, Ban Ki-moon, called on Gambian authorities on 21 April 2016 to immediately and unconditionally release all arrested protesters, and to conduct a prompt, thorough and independent investigation into the circumstances surrounding the alleged deaths. The AU and ECOWAS had also condemned the arrests, torture and killing of opposition leaders and activists, and called for thorough investigations. Prior to the pre-election ECOWAS fact-finding mission ECOWAS, the AU and the UN Regional Office for West Africa and the Sahel (UNOWAS), in an increasing spirit of partnership and collaboration, undertook a joint mission to The Gambia on 4–5 May 2016 to engage political stakeholders ahead of the election. The joint mission was led by the president of the ECOWAS Commission, Marcel Alain de Souza; the AU Commissioner for Political Affairs, Dr Aisha Labara Abdullahi; and the Special Representative of the UN Secretary-General for West Africa and the Sahel, Dr Mohamed Ibn Chambas. The mission also included the Office of the High Commissioner for Human Rights through its regional representatives for West Africa. Jammeh however, refused to grant them an audience. As with the ECOWAS, AU and UN joint mission, the ECOWAS pre-election fact-finding mission of July 2016 equally identified challenges that could hinder the conduct of a peaceful, free and fair elections. 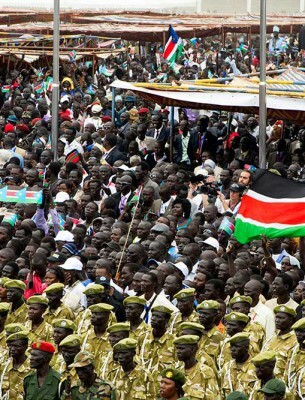 Notable among these challenges were the government’s denial of equal access to state media to the opposition; the lack of press freedom, intimidation, unlawful arrest and detention of opposition members by state security agents, and the unfair denial of access to political campaign permits to the opposition. ECOWAS judged that these factors would compromise the integrity of the election by giving undue advantages to the then-incumbent Jammeh, as happened in previous elections. Consequently, for the second consecutive time (the first being the 2011 presidential election), the ECOWAS Commission declined to send an observation mission to monitor the 1 December 2016 presidential election. Rather, it opted to deploy a four-member technical observation team consisting of political, early-warning and human rights experts, to strengthen its Zonal Bureau in Banjul to monitor the electoral processes and the evolving political and human rights issues prior to the conduct of the election, among other things. The Gambian authorities denied ECOWAS the election observation accreditation request for the technical observation team, noting the request arrived late. This notwithstanding, ECOWAS paid keen attention to the evolution of the electoral process; and stood as a vanguard for the defence of democracy, and the will of the people. As with the ECOWAS, AU and UN joint mission, the ECOWAS pre-election fact-finding mission of July 2016 equally identified challenges that could hinder the conduct of a peaceful, free and fair elections. 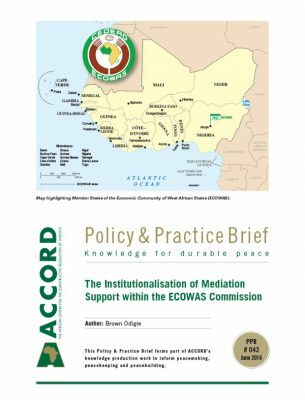 This PPB therefore highlights how ECOWAS, in its defence of democracy – and the will of the people – effectively used the instrument of mediation, supported by the threat of use of force as a last resort, in successfully facilitating a bloodless and peaceful transfer of power. 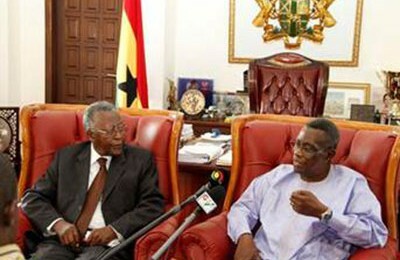 One therefore needs to understand the nature of the mediation mandate that warrants such, as well as how a combination of threat of use of force – which included positioning soldiers in neighbouring Senegal, a warship in The Gambian waters, and air surveillance over the state capital, Banjul – yielded a peaceful transfer of power without shedding a single drop of blood. One equally needs to understand the roles played by actors outside of the ECOWAS region – notably the president of Mauritania who played a key role in negotiating the last minute talks with Jammeh, and Equatorial Guinea which agreed to host Jammeh. 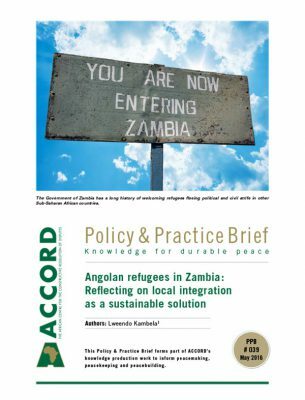 Although mediation accommodates various options for consideration in negotiation, including power-sharing – which before now had been the modus operandi in settling similar post-election crises in Africa – one is tempted to wonder why this option was not considered in the case of The Gambia. If, however, it is understood that mediation takes place within normative and legal frameworks, and that mediators conduct their work on the basis of the mandates they receive from their appointing entity and within the parameters set by the entity’s rules and regulations, it can be seen why power-sharing was not explored. On a general note, this PPB posits that ECOWAS’s handling of The Gambia’s post-election impasse is testament to the virtue and benefit of coherence, complementarity and coordination of mediation initiatives by international organisations. Following the Schumpeterian tradition, Huntington declares that a political system is democratic to the extent that its most powerful collective decision-makers are selected through fair, honest and periodic elections in which candidates freely compete for votes.9 Thus defined, democracy entails contestation and participation. It rests on popular participation and respect for the verdict of the people expressed through the ballot. To be sure, democracy transcends the conduct of elections. Whilst elections are an essential step in the democratic process, they do not equate democracy. Electoral competition can be fraught with controversies and conflicts, especially in the African context with its high premium on political power, making electoral competition assume the character of warfare.10 The controversies that often surround elections do not merely concern the right of people to stand for election and the ability of political parties to nominate candidates and campaign legally, but also broader issues that affect party performance, or the chances of a candidate or political party to win elections – such as their sources of funding, access to the media, the capacity and independence of the electoral management bodies, the authenticity of the voter register, the impartiality of the security agencies, the uprightness of the judiciary or electoral tribunals that adjudicate on electoral issues, and the willingness of the loser to accept defeat. More often than not, political elites interested in obtaining or holding onto political power rarely reach consensus on contending issues surrounding electoral competition. 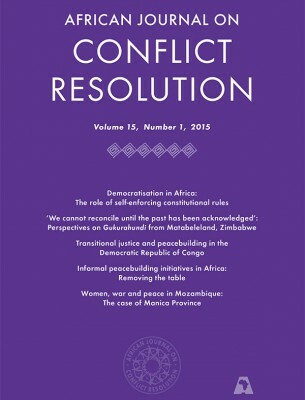 This has the potential of creating pre-election crises or disagreements among political actors – as was experienced in the period leading to the October 2015 presidential elections in Guinea, the November 2015 presidential elections in Burkina Faso, and the February 2016 presidential elections in Niger (as well as the run-off of March 2016) – or post-election violence, as was the case with the 2010 presidential elections in Côte d’Ivoire. When it becomes difficult for the political elite to reach consensus on electoral processes or outcomes, third-party intervention often becomes inevitable. Considering the political environment leading to the 1 December 2016 presidential election, it came as a shock to both the local and international community, as well as close observers of political developments in The Gambia, when, on 2 December 2016, the Independent Electoral Commission (IEC) of The Gambia declared the opposition coalition candidate, Adama Barrow, the winner of the election. An even greater shock was the spontaneous acceptance of defeat by Jammeh – who, based on his track record of unpredictability, surprised his most ardent critics by conceding election defeat. Jammeh once told the BBC, in December 2011, that he could lead The Gambia for “one billion years”.18 It thus was not surprising when, on 9 December 2016, after initially accepting the outcome of the election, Jammeh, in a volte-face, rejected the result and called for fresh polls following the IEC’s 5 December 2016 election review with no significant change to the winner of the election. As chair of the ECOWAS Authority, Johnson-Sirleaf consulted with President Muhammadu Buhari of Nigeria on 5 December 2016. Her consultations with regional leaders resulted in an ECOWAS high-level mission to The Gambia on 13 December 2016 for a meeting with Jammeh and president-elect Barrow, with a view to impress upon Jammeh the need to uphold the results of the election. If there is any lesson to be learned from the responses of ECOWAS, AU, UN and the diplomatic community, it is the value of a coherent and coordinated intervention. 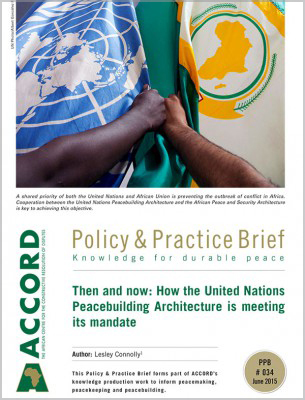 The AU and the UN not only gave spontaneous support to ECOWAS’s initiatives, but also allowed the principles of subsidiarity, complementarity and comparative advantage to take their full course. The coherent and coordinated support and consistency of the message to Jammeh were crucial for the successes of ECOWAS. This growing understanding and collaboration between ECOWAS, the AU and the UN must be commended and encouraged, and should serve as a lesson to be emulated in addressing the challenges posed by the principles and practice of subsidiarity, complementarity and comparative advantages in mediation. As an international organisation, ECOWAS derives its mandate for mediating in member states’ internal conflicts from Article 58 of its 1993 Revised Treaty.25 Section 2(e) of Article 58 obliges member states to cooperate with the community in establishing and strengthening appropriate mechanisms for the timely prevention and resolution of intrastate and interstate conflicts, paying particular regard to the need to employ, where appropriate, good offices, conciliation, meditation and other methods of peaceful settlement of disputes. 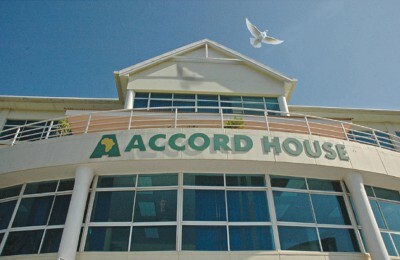 Furthermore, the 1999 Protocol Relating to the Mechanism for Conflict Prevention, Management, Resolution, Peace-Keeping and Security established the Institution of the Authority of Heads of State and Government as the highest decision-making body of ECOWAS, with powers to act on all matters concerning conflict prevention, conflict management, conflict resolution and peacekeeping. At its 50th Ordinary Session, held in Abuja, Nigeria on 17 December 2016, the Authority of Heads of State and Government reviewed the post-election impasse in The Gambia. It subsequently resolved to uphold the result of the 1 December 2016 elections and guarantee the safety and protection of the president-elect, Barrow. Consequently, the authority appointed Presidents Buhari of Nigeria and Mahama of Ghana as mediator and co-mediator respectively. They were given a mediation mandate to engage with Jammeh and Barrow on adhering to the constitution of The Gambia in respect of the declared results of the 1 December 2016 elections; determine a comprehensive and practical timetable to ensure the smooth transfer of power on 19 January 2017; consult with the UN, the AU and relevant partners in supporting the smooth transition of power; and develop a mechanism for mediated settlement for the outgoing president in support of the maintenance of peace and stability in The Gambia. In a sense, the terms of reference given to the mediators by the ECOWAS Authority were non-negotiable, in that a predetermined outcome had been set and the mediators had to work to achieve those results. In implementing the mediation mandate, Buhari constituted his mediation support team (MST), headed by his minister for foreign affairs, Geoffrey Onyeama. The MST was tasked to work with the team of the co-mediator,27 with the ECOWAS Commission providing backstopping services. Prior to the mediators meeting with Jammeh, the MST prepared by consulting with the presidents of Senegal and Liberia and the co-mediator, on 29–30 December 2016. At his debriefing to the mini summit of ECOWAS mediators in Abuja, Nigeria, on 9 January 2017, Onyeama noted that the regional leaders consulted had agreed that diplomacy should be the preferred approach in resolving the impasse, while military intervention by ECOWAS should be a last resort. They also agreed on the need to reach out to leaders outside of ECOWAS who could exert pressure on Jammeh to relinquish power and accept asylum. It was not surprising, therefore, to hear of the visit to Banjul by emissaries of the King of Morocco to convince Jammeh to step down in return for a “golden retirement” in Morocco;28 likewise, the last-minute negotiation undertaken by the President of Mauritania. In one of the final mediation efforts to persuade Jammeh to relinquish power peacefully, ECOWAS mediators met with him on 13 January 2017 to negotiate the offer of asylum outside of The Gambia. Jammeh refused the offer. 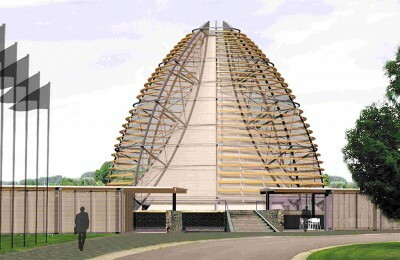 With unity of purpose and the threat of force as a last resort, coupled with the backing of the AU, UNOWAS and the UNSC, Jammeh still did not know that the game was over for him, and that the inauguration of Barrow as new president would proceed on 19 January 2017 at the embassy of The Gambia in Senegal. This was in spite of Jammeh’s declaration of a state of emergency and the extension of his mandate for 90 days by parliament. In a last ditch effort to stave off the forceful removal of Jammeh by the ECOWAS regional force – which by then was already stationed in Dakar, Senegal, for possible deployment into The Gambia – Mohamed Ould Abdel Aziz, President of Mauritania and a long-time friend of Jammeh, and Alpha Condé, President of Guinea, flew into Banjul on 18 January 2017 to offer Jammeh asylum if he stepped down peacefully. They proceeded to Dakar the same night for talks with President Macky Sall of Senegal, Barrow and other ECOWAS regional leaders to halt military intervention, and for the opportunity for a final negotiation of a peaceful exit for Jammeh. Following the inauguration of Barrow on 19 January 2017 at The Gambian embassy in Senegal, Abdel Aziz and Condé headed for The Gambia for final negotiations with Jammeh, resulting in a deal for asylum outside of The Gambia. After Barrow’s inauguration, Jammeh had been given an ultimatum by the ECOWAS Authority to quit or risk forceful removal – with the Nigerian Air force by then hovering in The Gambian airspace, a warship stationed in Gambian waters and foot soldiers already on the outskirts of Banjul. Consequently, on 20 January 2017, Jammeh relinquished power. On 21 January 2017, he left for Guinea with Condé, and then proceeded to Equatorial Guinea for asylum. A joint declaration by ECOWAS, the AU and the UN on 21 January 2017 detailed that the deal brokered with Jammeh includes guarantees for his safety and security as a former president, and the non-seizure of assets and properties lawfully belonging to him or his family members, among other elements. Barrow should be mindful of the fact that those who voted for change want to see a new Gambia where basic freedoms are guaranteed, fundamental human rights are respected and transparency in managing state affairs is given top priority. Barrow thus has to embark on key institutional reforms that will deepen democracy and development in The Gambia. Barrow needs to continue to talk the language of unity and reconciliation with the strong backers of former president Jammeh. Measures to immediately pursue either Jammeh or his cronies might be counterproductive and could destabilise the fragile peace the country is currently enjoying. Therefore, it is critical to identify common good, such as the need for socio-economic development, and making this the centrepiece of Barrow’s first hundred days in office. This would unite The Gambians around his political agenda and inspire confidence in all citizens that the government is for all, not only for Barrow’s supporters. Regionally, while celebrating its successes, ECOWAS needs to reflect on the challenges encountered, with a view to drawing lessons from the experience. ECOWAS also needs to support the new government by undertaking the security sector reform of The Gambian military, which is presently polarised between supporters of Jammeh and supporters of Barrow. The tendency for Barrow to promote those who supported him and degrade those who did not might seem natural, but it is a move that could be his undoing in the mid- to long-term. ECOWAS also needs to support and ensure that Barrow runs an inclusive government, where the focus is on respect for human rights and civilian protection. Additionally, ECOWAS should support the initiation of a national reconciliatory dialogue process, which will seek to heal wounds created in the last 22 years of Jammeh’s rule. 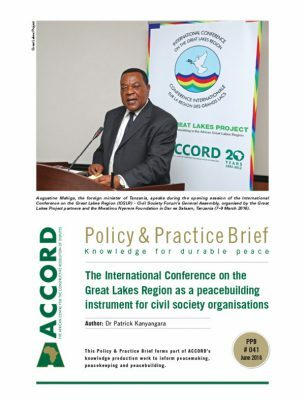 Other RECs and regional mechanisms (RMs), especially those which still work in silos, need to put in place mechanisms to ensure prompt coherence, complementarity and coordination, particularly on matters that directly threaten regional peace and stability. 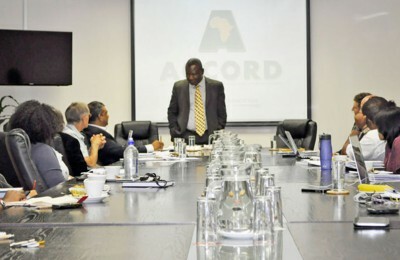 These could be governance challenges such as contested election outcomes, authoritarianism and gross human rights abuses, or political instability resulting from ethnic tensions, poverty, underdevelopment, unemployment or inequality. The RECs, as well as the AU, need to develop and/or strengthen mechanisms for prompt interventions other than military response. Military response should only be evoked as a last resort, but must be in place as a deterrent. The international community in general should draw inspiration from the multi-actor coordination showcased by ECOWAS’ handling of this impasse, and give due consideration to working with regional actors. Had ECOWAS rushed into a military intervention without utilising all peaceful means at its disposal, today, the cost of recovering from such an intervention would, likely, have been a heavy burden on The Gambia. 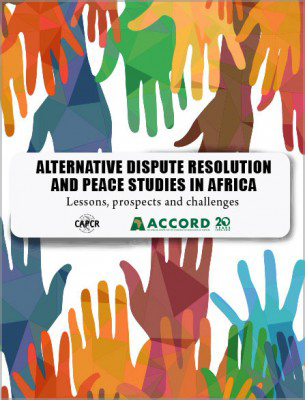 Thus, ECOWAS has shown that Africa saves from the cost of war and post-conflict reconstruction – which would easily have been the situation had military intervention trumped all political efforts of a peaceful settlement. ECOWAS actions were guided by its relevant legal instruments – the 1993 Revised Treaty; the 1999 Protocol Relating to the Mechanism for Conflict Prevention, Management, Resolution, Peace-keeping and Security (referred to as “the mechanism”); and the 2001 Supplementary Protocol on Democracy and Good Governance. 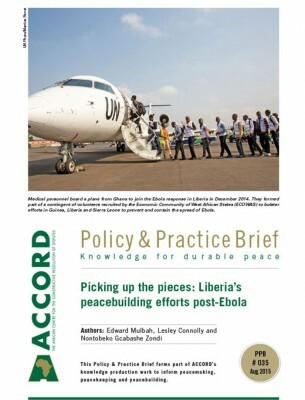 There are fundamental principles that member states of ECOWAS must adhere to under the 1993 Revised Treaty, notably those enumerated in Article 4(e) and (f), which emphasises “the maintenance of regional peace, stability and security through the promotion and strengthening of good neighborliness and peaceful settlement of disputes among Member States”. Article 58 of the treaty obliges member states to “work to safeguard and consolidate relations conducive to the maintenance of peace, stability and security within the region”. 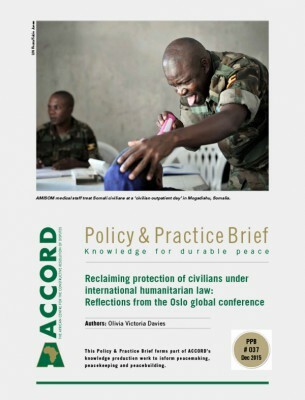 In pursuit of these objectives, “Member States undertake to co-operate with the Community in establishing and strengthening appropriate mechanisms for the timely prevention and resolution of intra-State and inter-State conflicts, paying particular regard to the need to: (a) employ where appropriate, good offices, conciliation, meditation and other methods of peaceful settlement of disputes; and (b) establish a regional peace and security observation system and peace-keeping forces where appropriate”. Article 25 of the Mechanism defines the conditions for its activation as follows: (a) in cases of aggression or conflict in any member states or threat thereof; (b) in cases of conflict between two or several member states; (c) in cases of internal conflict that threatens to trigger a humanitarian disaster, or which poses a serious threat to peace and security in the subregion; (d) in the event of serious and massive violation of human rights and the rule of law; (e) in the event of an overthrow or attempted overthrow of a democratically elected government; and (f) any other situation as may be decided by the Mediation and Security Council. The Gambia is a signatory to all the aforementioned instruments and protocols and is thus bound by them. The accusation that ECOWAS was undermining the country’s sovereignty is untenable. ECOWAS acted within the confines of its legal instruments and protocols, and must be commended for defending and upholding the expressed will of the people of The Gambia. 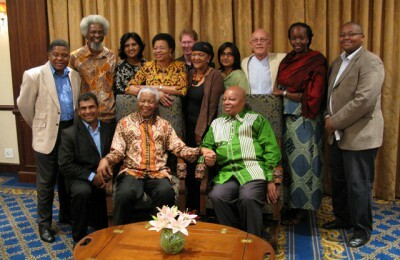 Its action is a notable example for other RECs in Africa and followers of democracy globally. ECOWAS has showcased the effectiveness of diplomacy backed by the threat of use of force as a last resort, and the capacity to use the force. 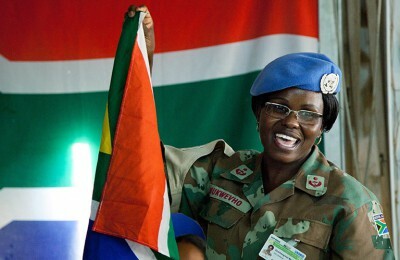 Importantly, it has made history for being the first regional organisation to manage a post-election impasse, and which led to the inauguration of a president-elect in the country’s embassy in a foreign country, with the full participation of the AU, the UN and the diplomatic community – and a simultaneous UNSC resolution backing the process. This is unprecedented. ECOWAS Commission 2010. ECOWAS Vision 2020: Towards a Democratic and Prosperous Community. Abuja, ECOWAS Commission. In 2015, five member states – Nigeria, Togo, Guinea, Côte d’Ivoire and Burkina Faso – held general elections, whilst in 2016, general elections were held in Niger, Benin, Cape Verde, The Gambia and Ghana. ECOWAS Commission (unpublished). 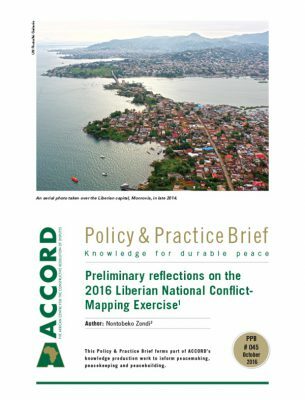 Unpublished Report of ECOWAS Pre-election Fact-finding Report to The Gambia, July 2016. Oluwole, O. 2014. The Challenge of Democratic Consolidation in Nigeria 1999–2007. International Journal of Politics and Good Governance, 5 (1), pp. 1–29. This definition of democracy was given by Abraham Lincoln in his Gettysburg Address, delivered in 1884 at the height of the American Civil War. Cited in Heywood, A. 1997. Politics. London, MacMillan Press, p. 66. Schumpeter, J. 1942. Capitalism, Socialism and Democracy. London, Allen & Unwin. Heywood, A. 1997. Op. cit., p. 211. Huntington, S.P. 1991. The Third Wave: Democratization in the Late Twentieth Century. Oklahoma, University of Oklahoma Press, p. 7. Ake, C. 1996. 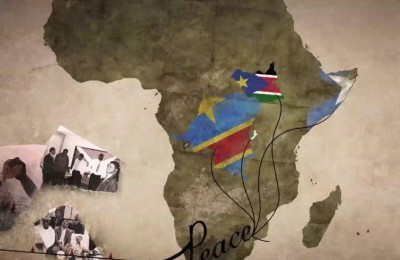 Democracy and Development in Africa. Ibadan, Spectrum Books Limited, p. 6. 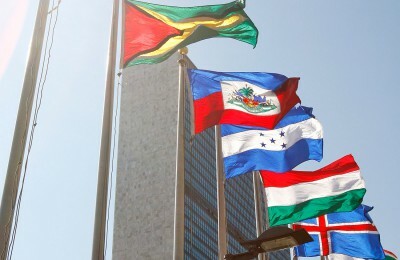 United Nations 2012. 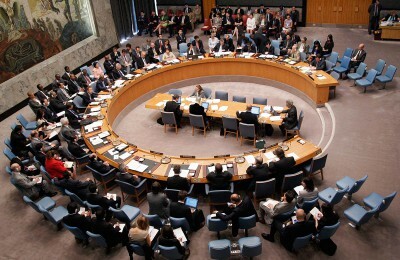 The United Nations Guidance for Effective Mediation. Geneva, United Nations. 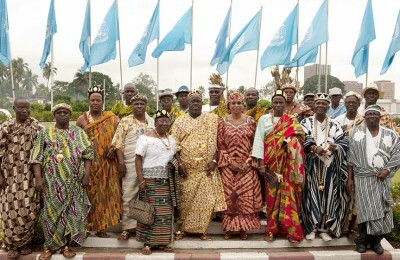 West Africa Network for Peacebuilding (WANEP) 2012. Dialogue and Mediation: A Practitioner’s Guide. Accra, WANEP, p. 7. 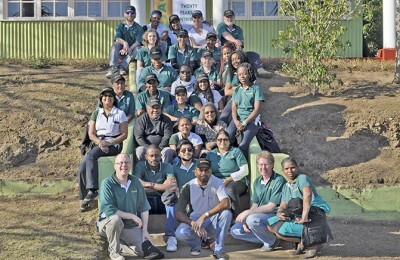 UNDP 2014. Guidance note. 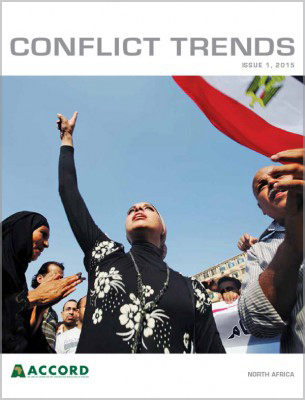 In: UNDP Supporting Insider Mediation: Strengthening Resilience to Conflict and Turbulence. New York, UNDP, p. 8. M’Bai Pa Nderry 2017. Gambia: breaking news: only the Supreme Court can declare anyone a president – Jammeh. Freedom Newspaper [Internet], 10 January. Available from: http://www.freedomnewspaper.com/gambia-breaking-news-only-the-supreme-court-can-declare-anyone-a-president-jammeh. Op Cit. The UN Guidance for Effective Mediation, p.10. Author unknown 2011. Gambia’s Yahya Jammeh ready for ‘billion-year’ rule. BBC News [Internet], 12 December. Available from: www.bbc.com/news/world-africa-16148458 . ECOWAS Commission 2016. ECOWAS, African Union and UN Statement on the Political Developments in The Gambia, 10 December. Abuja, ECOWAS Commission. United Nations Security Council 2016. Press Statement on The Gambia Elections, 10 December. Alfa Shaban Abdur Rahman with Reuters 2016. ECOWAS chair refused entry into Gambia, US & EU slam Jammeh’s U-turn. Africanews [Internet], 10 December. Available from: http://www.africanews.com/2016/12/10/ecowas-chair-refused-entry-into-gambia-us-eu-slam-jammeh-s-u-turn/. It should be noted that The Gambia Supreme Court judges were earlier sacked by Jammeh. The country relied on judges from Nigeria, Sierra Leone and Ghana, who are deployed to The Gambia on an occasional basis. Nigeria turned down the request for justices on the grounds that the period requested for the justices to sit fell outside the agreed period of May and November of every year. Op Cit. The United Nations Guidance for Effective Mediation, p. 16. ECOWAS Commission 1993. The Revised Treaty of ECOWAS. Abuja, ECOWAS Commission. Op Cit The United Nations Guidance for Effective Mediation, p. 6. Read more at Nwabughiogu, L. 2016. Buhari set to actualize ECOWAS mandate of removing Gambia’s Jammeh from power. Vanguard [Internet], 31 December. 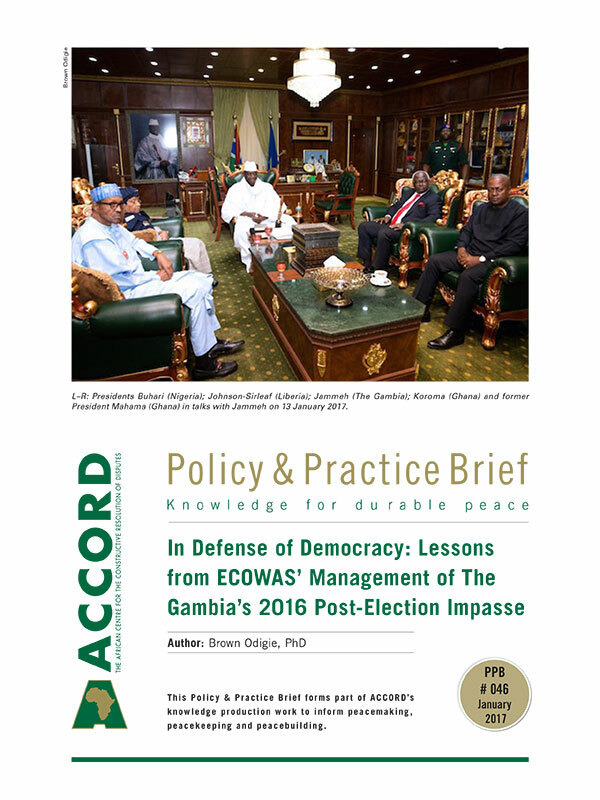 Available from: http://www.vanguardngr.com/2016/12/gambia-buhari-set-actualize-ecowas-mandate-removing-president-jammeh-power. Author unknown 2017. Had Morocco offered Gambia’s Jammeh asylum in return for stepping down? The North Africa Post [Internet], 18 January. 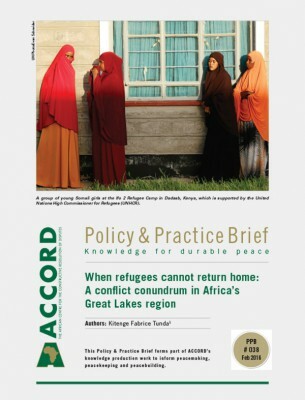 Available from: http://northafricapost.com/16041-morocco-offered-gambias-jammeh-asylum-return-stepping.html.